Article properties: Tim Neely: Goldmine Country & Western Record Price Guide (LP,45,78) 2nd. Album titlle: Goldmine Country & Western Record Price Guide (LP,45,78) 2nd. 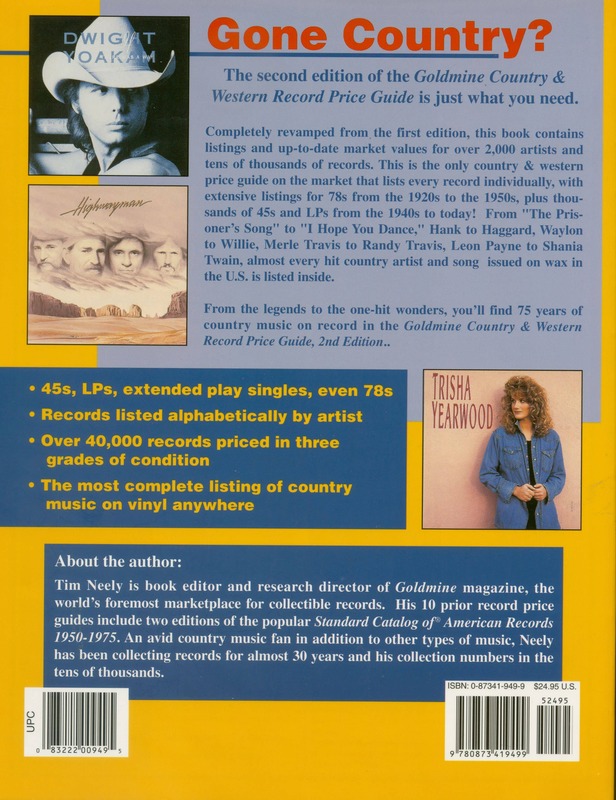 Customer evaluation for "Goldmine Country & Western Record Price Guide (LP,45,78) 2nd."